Please join us for the next meeting! Anyone is welcome to attend the historical society meetings. You do not have to be a member. General membership meetings are normally held on the third Tuesday of every other month (January, March, May, July, September & November) 6:30 pm at the Walkertown Library located at 2969 Main St, Walkertown, NC 27051. The WAHS Board meets at the WAHS Center, 3058 Church Street, on the second Tuesday of every month at 5:30 pm. Members are welcome and encouraged to attend the board meetings. If you'd like to get more involved with WAHS, please email us at WalkertownHistory@gmail.com or call 336-497-1183. 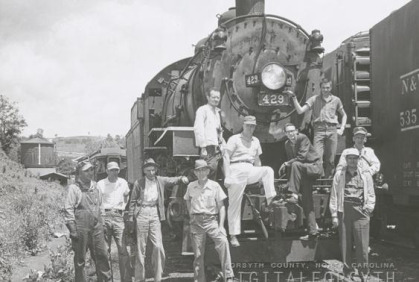 Mr.Durwood Laughinghouse, Norfolk Southern's Resident Vice President for North Carolina, will present a brief history of the company from its origins as the South Carolina Canal and Rail Road company in 1830 to its current endeavors and future initiatives. Dr. Tracy Criswell, professor at the Wake Forest University Institute for Regenerative Medicine (WFIRM), discussed the historical development of organ transplantation, regenerative medicine and tissue engineering. She will also provide an overview of the science being performed at WFIRM and its potential for changing modern medicine. Regenerative medicine and tissue engineering techniques have the potential to revolutionize modern medicine. Regenerative medicine was born out of the desire to close the gap between patients on a waiting list for organ transplantation and the limited availability of donors. 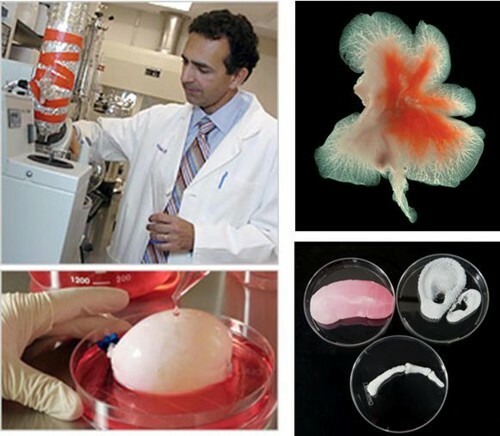 WFIRM is a leader in the field of tissue engineering and regenerative medicine with more than 30 tissues being grown in the lab and several tissues on track for Phase 1 clinical trials. Who was he? Why does it matter? Jerry Rutledge made a presentation on Lt. Col. Benjamin Forsyth. 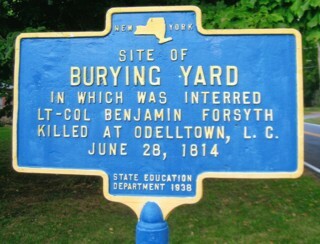 He discussed the early years of Benjamin Forsyth, including his connections in Stokes and Forsyth Counties; the extensive military record of Benjamin Forsyth; and his death and burial in upstate New York. Jerry grew up in Germanton and attended Stokes County Schools. He graduated from the University of North Carolina in Chapel Hill in 1966 with a BA in History. He graduated from Law School in Chapel Hill in 1969 and then served four years in the Marine Corps as a JAG officer. After working with the North Carolina Attorney General's office in Raleigh and serving as an Assistant District Attorney in Stokes and three adjoining counties, Jerry opened his law office in Walnut Cove in 1978. Jerry's interest in local history has led him to make three trips to upstate New York to visit Champlain, the burial place of Benjamin Forsyth. Hanging Rock State Park Ranger, Jason Anthony presented “From Gilded Age to Great Depression: A History of Hanging Rock State Park and the Surrounding Areas”. 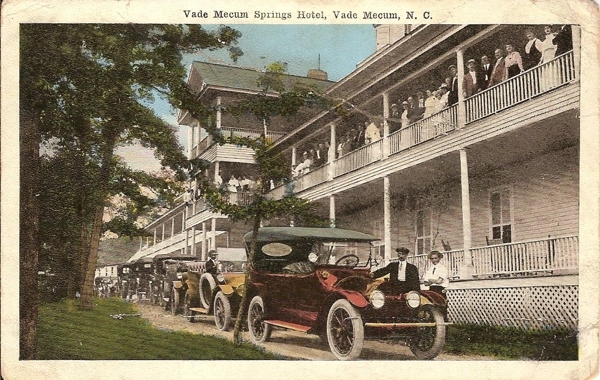 The world changed a lot in the early decades of the 20th century.8,000 acres in central Stokes County went from a golden age of resort tourism and weathered the greatest depression in our nation’s history to become one of the most beautiful and popular state parks in North Carolina. 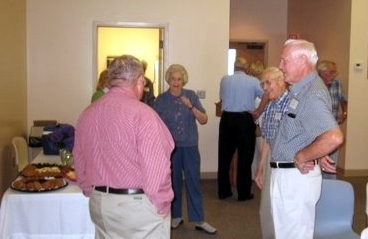 Bidders had a variety of valuable items to bid on while enjoying great company and a delicious meal in the air conditioned WAHS Center & Museum. All proceeds supported the WAHS’s mission. Soprano Laura Ingram Semilian presents a program of excavated echoes from 1800s America, with songs ranging from Appalachia to the American Frontier, the Civil War, and more. Her CD of historical songs, recorded in Nashville with producer/engineer Ron “Snake” Reynolds, will be released this Spring. An innovative performer with enthusiasm for research and uncommon repertoire, Laura holds the MA in history from Wake Forest University and the MM in opera performance from UNCSA. She won first place in the Southeastern Region's Metropolitan Opera competition. Laura's other recent performance projects include her vocal settings of poetry by Will Alexander and George Quasha, soundscapes for avant-garde films, and programs of works by Hungarian composers and ethnographers Béla Bartók and Zoltán Kodály. Musicians joining Laura for this performance include Luke Payne, guitar; Jon Cornatzer, banjo; David Crawford, mandolin; and Tim Harrison, bass. To download Meeting Flyer PDF file, click here. 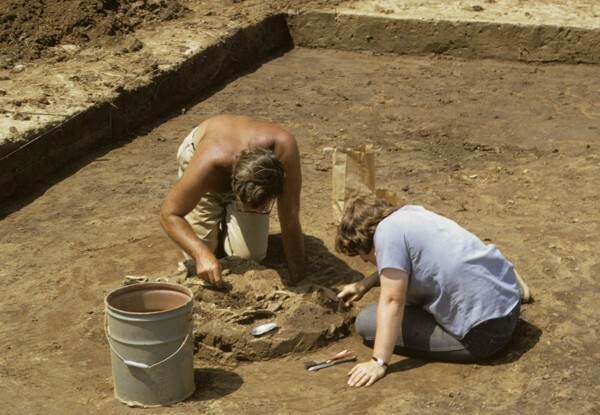 Dr. Stephen Davis will present the results of archaeological investigations conducted by the University of North Carolina at sites in Stokes County that were occupied by the Saura Indians in the 1600s and early 1700s. These sites are known historically as Upper Sauratown, and excavations there were conducted over 11 summers between 1972 and 1988. Dr. Davis was personally involved with the fieldwork in 1972-1974 and in 1988. 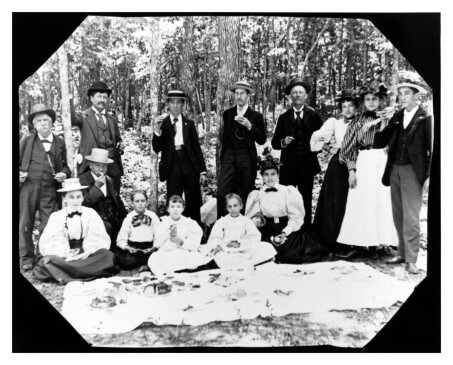 The Upper Sauratown investigations are important to our current understanding of native North Carolinians at the time of European contact and the consequences of that contact. Dr. Stephen Davis, (A.B., University of North Carolina at Chapel Hill 1974; M.A., University of Calgary 1976; Ph.D., University of Tennessee 1986) is currently Research Archaeologist and Associate Director of the Research Laboratories of Archaeology and Adjunct Professor of Anthropology at the University of North Carolina at Chapel Hill. 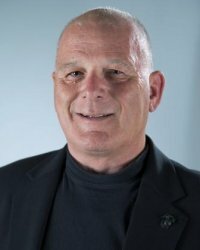 He is editor of the North Carolina Archaeological Society’s journal North Carolina Archaeology, and he has served as editor of the scholarly journal Southeastern Archaeology (1991-1993), as chairman of the North Carolina Archaeological Council, and on several other professional boards and committees. His archaeological research interests focus on early Native American history of the American South, the impact of European colonization on the native peoples of North Carolina, settlement systems and man-land relationships, and digital visualization and analysis in archaeology. Dr. Davis has authored or co-authored numerous articles, monographs, books, and other works related to these interests. He has been a principal investigator on research grants from the National Science Foundation, the National Geographic Society, and the North Carolina Department of Cultural Resources. 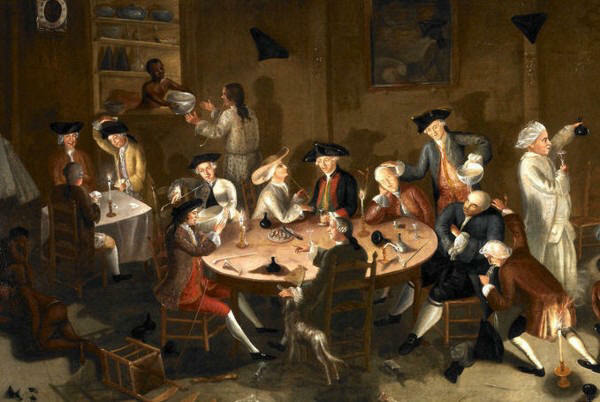 While early American taverns are generally associated with the spirited drinks they served, they often played a wider role in the social life of the surrounding community, offering a place for local citizens to meet and catch up on the latest news, gossip and politics. Some also provided post services and acted as stage stops where travelers could eat, rest and tend to tired horses. Kernersville natives Mike Marshall and Jerry Taylor will give an illustrated presentation that will focus on taverns that served the central Piedmont in the 18th and early 19th centuries with emphasis on Dobson's tavern in Kernersville visited by President George Washington in 1791. Both Mike and Jerry have an avid interest in genealogy and history and their research has been featured in several newspaper and magazine articles. They are also active in genealogy and local history groups, and have authored three local history books, Wicked Kernersville: Rogues, Robbers, Ruffians and Rumrunners, Remembering Kernersville, and Kernersville: True Tales of Murder, Mayhem and Mystery. Click here to download/print a pdf file of the meeting poster. Walkertown native Wesley Hutchins, will present “The History of the Boy Scouts of America in Walkertown”. Mr. Hutchins has been the Chief of the Walkertown Fire Department for 11 years. 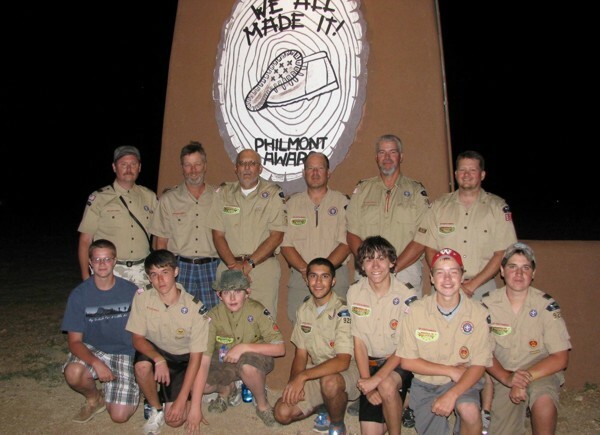 He is a former Scout Master, is a current committee chairperson, serves on the Old Hickory Council Eagle Scout review board and is a member of Morris Chapel United Methodist Church. He is currently employed by Forsyth Technical Community College. Dr. Douglas R. Porter’s presentation will focus on the relationship between religion and dissent (particularly opposition to slavery and the Confederate cause) in the upcountry region during the antebellum and Civil War eras. 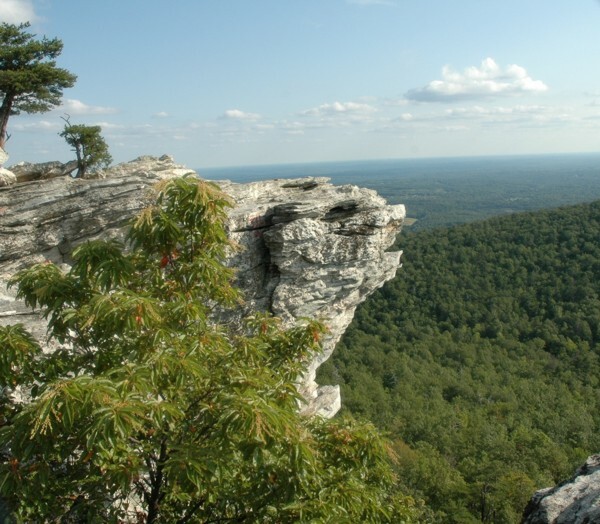 The area in and around Forsyth, Guilford, Surry and Yadkin counties were well known during the American Civil War and are of particular interest to Dr. Porter. Dr. Porter, who is from Mount Airy, NC, received his M.A. in History from North Carolina State University and his Ph.D. in United States History to 1877 with minors in American Religious History and Africa & African Diaspora from the University of Mississippi. He is currently the Historic Sites Manager for the City of Raleigh. All proceeds will support the society’s efforts to research, organize, and preserve the history of Walkertown and the surrounding area. We thank the auction donors and bidders for their support. This program was made possible through the support of the NC Humanities Council. 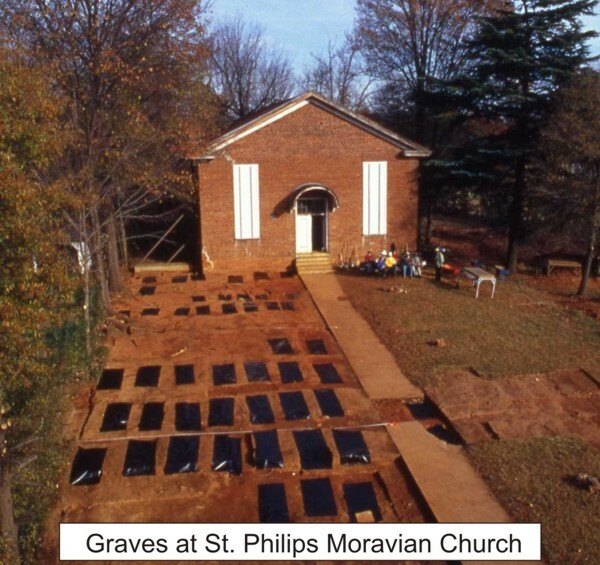 Dr. Ferguson will give an illustrated presentation of archaeological investigations in and around St. Philips Moravian Church in Old Salem. Excavations revealed the hidden gravestones and obliterated graves of Salem’s original Strangers’ Graveyard and the graveyard used for enslaved African-Americans after Wachovia’s white Moravians embraced racial segregation. The position and plan of this graveyard was determined by a combination of evolving racist attitudes and compromised protestant piety. Preservation work at old St. Philips played a role in encouraging racial reconciliation between the present-day St. Philips Congregation and Salem Congregation as well as the apology for slavery by the Southern Province of the Moravian Church. Leland Ferguson is Distinguished Professor Emeritus of Anthropology at the University of South Carolina, and has been a practicing archaeologist for more than forty-five years. He is the author of Uncommon Ground: The Archaeology of African America, 1650-1800 and God’s Fields: Landscape, Religion and Race in Moravian Wachovia which recently received the 2014 James Deetz Book Award from the Society for Historical Archaeology. Dr. Ferguson holds degrees from North Carolina State University and the University of North Carolina at Chapel Hill. He is a 1960 graduate of Walkertown High School. 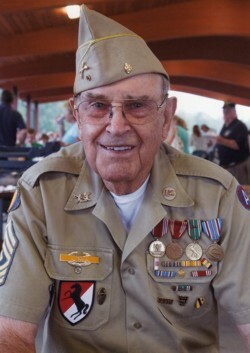 A veteran of World War II, Mr. Redmon will also discuss some of his battle experiences. 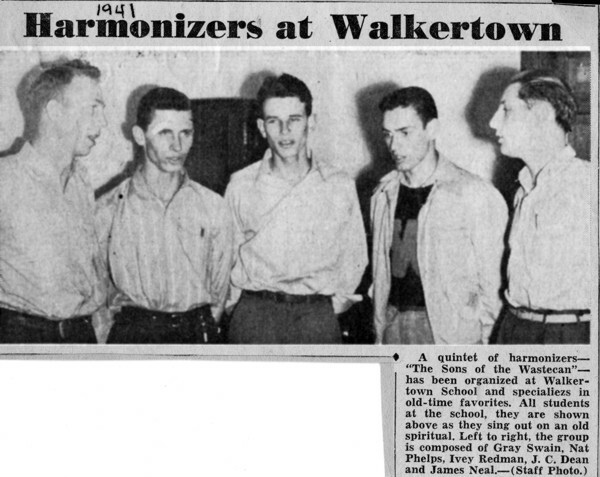 He is a graduate of Walkertown High School, class of 1941. The Town of Kernersville recently honored Ivey by naming the city’s sports complex the Ivey M. Redmon Sports Complex (formerly Beeson Park, 788 Beeson). As Director of the Museum of Anthropology at Wake Forest University, Stephen Whittington works with his staff and students to engage the public through exhibits and educational programs about other cultures. 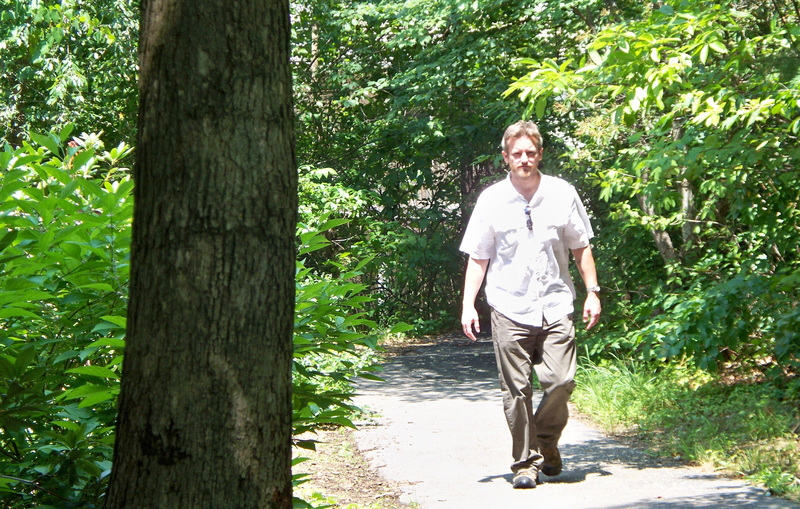 He takes a similar approach to his archaeological research in the Mexican state of Oaxaca. Dr. Whittington is Adjunct Associate Professor of Anthropology at Wake Forest University. He was Director of the Hudson Museum at The University of Maine from 1991 until 2002. 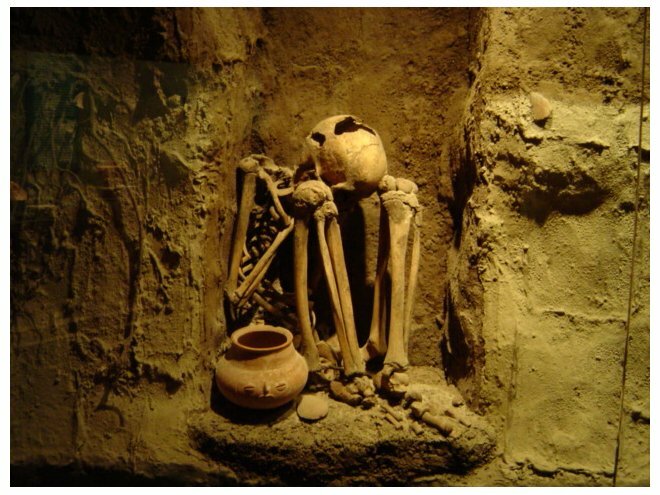 He has directed archaeological projects in Mexico and Honduras and has analyzed ancient human skeletal remains in Honduras and Guatemala. He is currently Regional Representative for the Southeast on the board of the Association of Academic Museums and Galleries and is a member of the Public Education Committee of the Society for American Archaeology. Previously, he was Treasurer for the Southeastern Museums Conference and Vice-Chair of the Maine State Museum Commission. Potluck Picnic & Silent Auction raised $958 to fund our mission. On Saturday, September 21, 2013, we enjoyed wonderful food and fellowship at the WAHS Center and raised $958 in the auction which will be used to facilitate the WAHS mission. Thanks to those who gathered donations, prepared the WAHS house, cooked food, donated and bid on auction items. We appreciate your support! Historian and author, Phyllis Roberson Hoots, presented Murders in a Family Tree from Germanton and Walkertown to Kernersville. 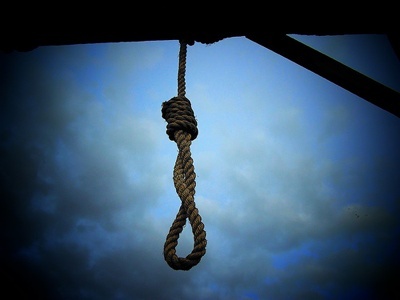 We recognized local family names such as Southern, Marshall, Roberson, Hastings, Samuel and Waggoner as Phyllis recounted the circumstances of three murders involving a love triangle, card playing, drinking and hangings. These murders are of particular interest to Phyllis since she is related to the victims and/or the murderers in all three cases. Riley Baugus represents the best of old time American music. Over the years, whilst working as a weldor and a blacksmith by day, Riley played with many old time string bands, including the Old Hollow String Band and the Red Hots. 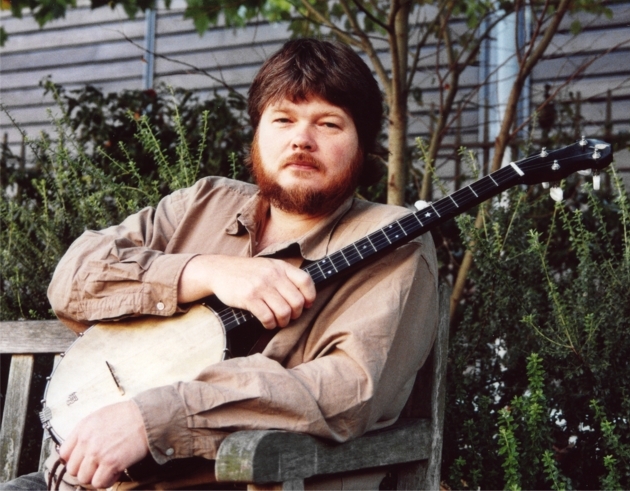 His self-produced recording, "Life Of Riley" showcases his masterful banjo playing and rich singing voice. One fateful day, Riley got a call from Dirk Powell who was involved in the music direction for the Academy Award-winning film "Cold Mountain". 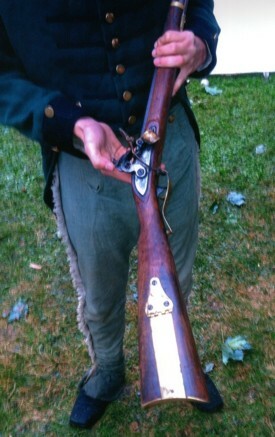 Dirk had convinced the producers that they needed Civil War era banjos made in the Carolina hills, specifically Riley’s handmade banjos and Riley’s authentic acapella ballad singing voice. A whirlwind Hollywood experience ensued, culminating in a place on the star studded "Great High Mountain" tour. From there, Riley has made his own path, building in-demand instruments and performing at festivals all over the world. In 2008, he contributed to the Grammy award winning Album Of The Year, "Raising Sand", the multi-million selling album by Alison Krauss and Robert Plant. Two years later, Riley's banjo playing was featured on Willie Nelson's Grammy nominated recording "Country Music". One hundred years ago, the Daughters of the American Revolution left for us a legacy of patriotic commemoration—Daniel Boone’s Trail. During 1912-1915, the Daughters in North Carolina, Tennessee, Virginia, and Kentucky erected 45 metal tablets across four hundred miles to honor the life of Daniel Boone and to mark for future generations his path through the Appalachian Mountain barrier, a path that enabled America’s Western Movement. The idea for such a trail sprang from the creative mind of the industrious Mrs. Lindsay Patterson of Winston-Salem, North Carolina. 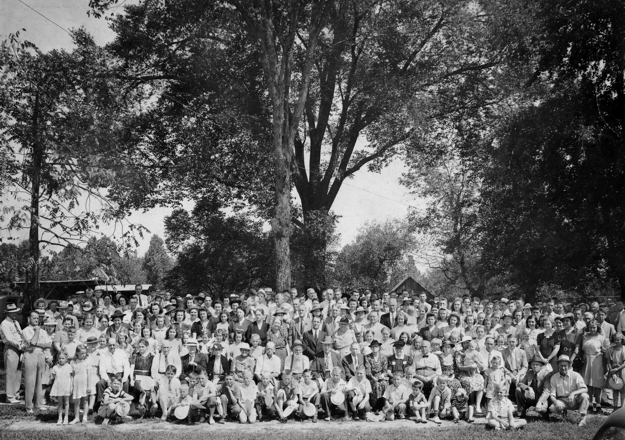 A patriotic public gathered to dedicate each marker, and newspapers eagerly wrote accounts of local ceremonies including the joint ceremony at Cumberland Gap attended by thousands. But the world did not stand still during this project, and the effort of the DAR took place against a backdrop of the Progressive Era, including presidential elections, campaigns for equal suffrage and women’s right to vote, war in Europe, and the opening of the Panama Canal. This is a story that has been too long forgotten, one resurrected now from the pages of century-old newspapers, the records of the DAR, and a diligent search across the countryside to find the 27 surviving markers and to discover what happened to the 18 which have disappeared. Randell Jones, shared this story which he documented in his book, 2012 Kentucky History Award winner, Marking Daniel Boone’s Trail. Mr. Jones is also author of the award-winning book In the Footsteps of Daniel Boone and award-winning companion CD, On the Trail of Daniel Boone. Additional information available at www.DanielBooneFootsteps.com. This presentation was funded by a grant from the North Carolina Humanities Council. In her book, Michele Gillespie provides a sweeping account of how R. J. and Katharine succeeded in realizing their American dreams. Join us as she discusses this fascinating couple. 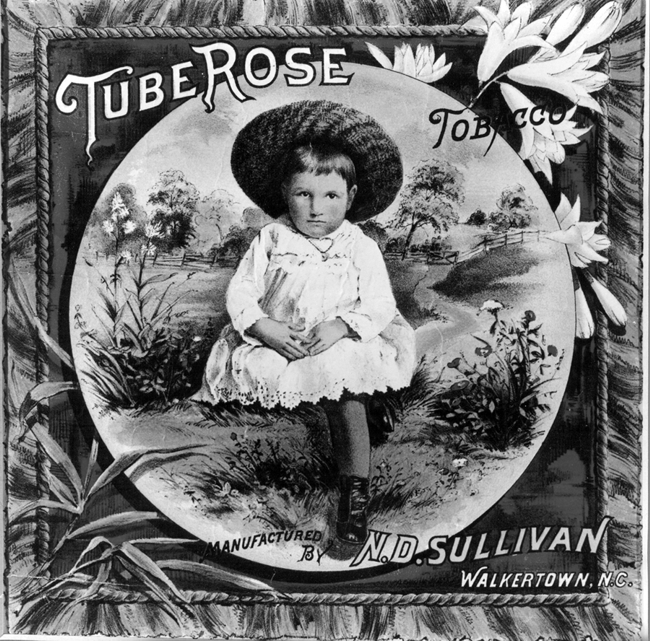 From relatively modest beginnings, R. J. launched the R. J. Reynolds Tobacco Company, which would eventually develop two hugely profitable products, Prince Albert pipe tobacco and Camel cigarettes. His marriage in 1905 to Katharine Smith, a dynamic woman thirty years his junior, marked the beginning of a unique partnership that went well beyond the family. As a couple, the Reynoldses conducted a far-ranging social life and, under Katharine's direction, built Reynolda House, a breathtaking estate and model farm. Providing leadership to a series of progressive reform movements and business innovations, they helped drive one of the South's best examples of rapid urbanization and changing race relations in the city of Winston-Salem, North Carolina. Together they became one of the New South's most influential elite couples. Upon R. J. 's death, Katharine reinvented herself, marrying a World War I veteran many years her junior and engaging in a significant new set of philanthropic pursuits. 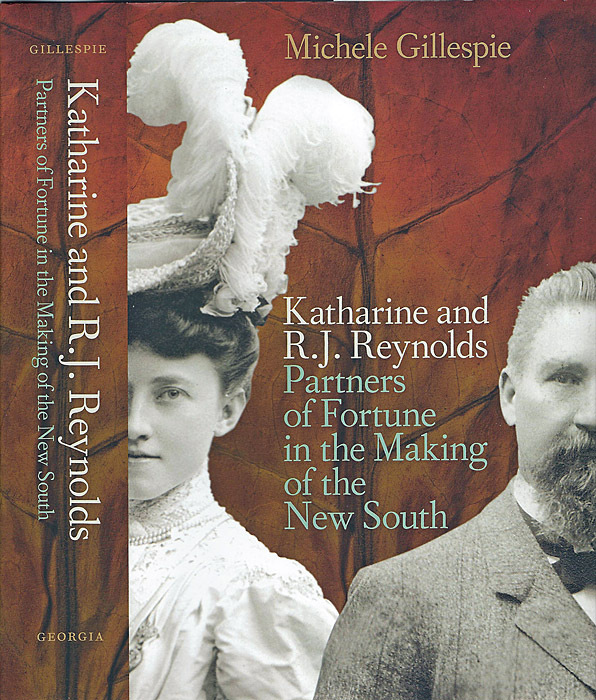 Katharine and R. J. Reynolds reveals the broad economic, social, cultural, and political changes that were the backdrop to the Reynoldses' lives. Portraying a New South shaped by tensions between rural poverty and industrial transformation, white working-class inferiority and deeply entrenched racism, and the solidification of a one-party political system, Gillespie offers a masterful life-and-times biography of these important North Carolinians. Steve Shelton lives in Danbury with his wife of 39 years, Olivia. A retired high school band director (South and North Stokes) with a long interest in local history, Steve has given multiple presentations to the Stokes County Historical Society on a variety of local subjects, and has led historical tours in and around Danbury for the society and various school groups. For the past twenty years Steve has collected postcards from the mineral springs, Piedmont, Moore’s and Vade Mecum, and from Danbury proper. His presentation will tell the story of the springs, using the postcards as the springboard for the discussion. Of particular interest is the story of Vade Mecum Springs and its connection to John Sparks and the Sparks Circus. Steve’s collection includes several rare, thought-to-be “one of,” photo and real photo cards. Fourth Annual WAHS Potluck Picnic & Silent Auction was a huge success. and raised over $900 in the silent auction to support the WAHS mission. Matthew Allen, pastor of Oak Grove Moravian Church, presented an interesting history of the church with photographs. Mr Allen is a native of Kernersville, graduate of Glenn High School, UNC Chapel Hill, and Moravian Theological Seminary. He has been a pastor since 1998 serving Pine Chapel Moravian Church 1998-2002 and has been pastor of Oak Grove Moravian Church since April 2002. He recently celebrated his tenth anniversary at Oak Grove. His avocational interests are history and music. 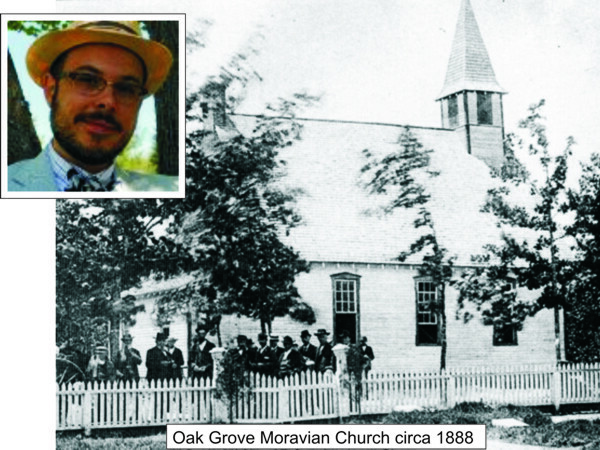 Oak Grove Moravian Church traces its origins to 1887 when Richard Westmoreland and James Lineback formed a Sunday school for neighbors who were of the Moravian faith. 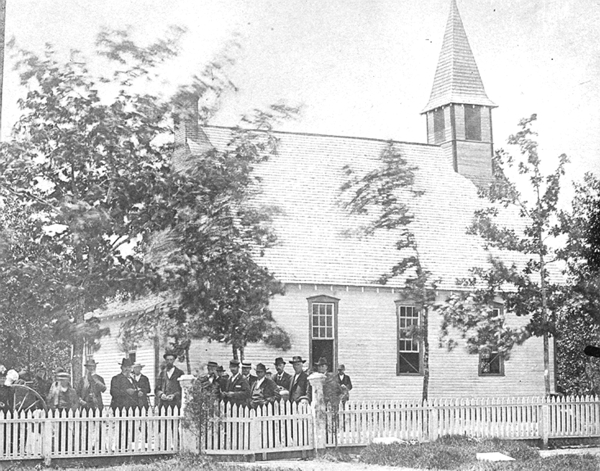 Meeting at first in a vacant log cabin owned by Douglass Day, the members consecrated a church in May 1888 built on land donated by Joshua Sell. The New York Times called Emily Herring Wilson's Two Gardeners: Katharine S. White and Elizabeth Lawrence—A Friendship in Letters (2002) "one of the finest gardening books published in years." Wilson is also the author of an acclaimed biography of Elizabeth Lawrence entitled No One Gardens Alone (2004). 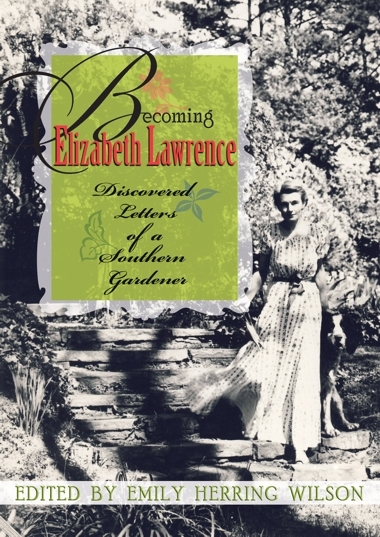 While editing correspondence between Lawrence and Katharine White, she discovered several hundred letters from Lawrence to Ann Preston Bridgers, which inspired her to compile Becoming Elizabeth Lawrence: Discovered Letters of a Southern Gardener. In this presentation, Emily Herring Wilson will discuss the art of letter-writing, with a focus on the letters of Elizabeth Lawrence, master garden writer and letter writer, as well as selected letters from other women writers, including Flannery O’Connor, Elizabeth Bishop, Virginia Woolf, and Anonymous. What makes a good letter for the reader? For the writer? What do we learn from letters? What is concealed? Why? How have letters changed since the advent of the typewriter, and even more so with the popularity of email? Ms. Wilson is a winner of the North Carolina Award and the Caldwell Award and is a MacDowell Colony Fellow. She lives and gardens in Winston-Salem, North Carolina. WAHS members Wallace Baird and Libby Adams gave a slide presentation on our new Walkertown pictorial book in the Arcadia Publishing "Images of America" series. 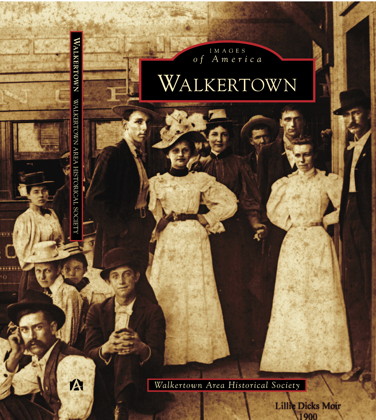 The book features 200 photos of Walkertown people, places and artifacts documenting the Walkertown area's history. They are also available at the Walkertown Family Pharmacy, Webster Brothers Hardware, Freeman Eye Associates and regular WAHS meetings and our open house events at 3058 Church St. 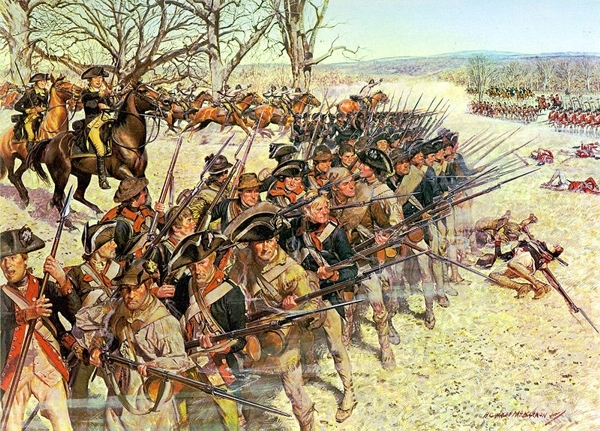 Although the British held the field and claimed victory at the Battle of Guilford Courthouse, that battle set in motion the events that would lead to the British surrender at Yorktown just a few months later. Ed Southern, editor of Voices of the American Revolution in the Carolinas, will talk about what led the two armies to meet when and where they did, and the battle's effect on the American Revolution. Professor Richard E. Eller will present a program on Piedmont Airlines. Mr. Eller is Professor of History and Chairman of the Department of Social Sciences at Catawba Valley Community College in Hickory, NC. He is the author of Piedmont Airlines: A Complete History, 1948 – 1989 and has produced a documentary on Piedmont Airlines which will be shown in the Fall of 2011 on UNC-TV. Our 3rd Annual WAHS Potluck and Silent Auction was a great success. We enjoyed great food and company. Guests perused our collection of historic items displayed in the house. Thanks to businesses and individuals who donated items and silent auction bidders, we raised over $600. Thank you! 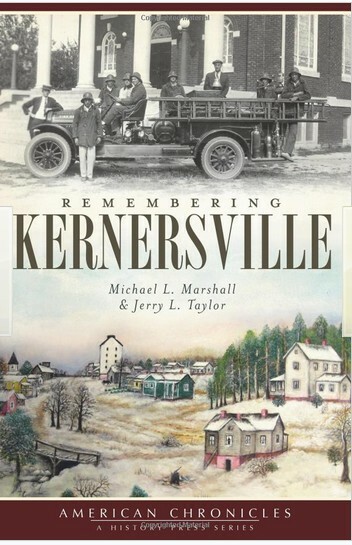 Kernersville natives, Michael Marshall and Jerry Taylor, will present "Remembering Kernersville" which is the title of their recently published book. Kernersville, North Carolina, grew up around the intersection of two humble colonial roads and now boasts a history spanning more than 230 years. It was here that George Washington visited William Dobson's tavern in 1791 and the Great Storm of 1893 nearly decimated the fledgling town. Local authors Mike Marshall and Jerry Taylor recount the tale of the 1912 fire that destroyed what had once been Kernersville's largest tobacco factory, and they bask in the glory of the resort at Dunlap's Mineral Springs, a local hot spot during the Roaring Twenties. Mike graduated Phi Beta Kappa from UNC-Chapel Hill, where he received both a BS and an MS degree in physics. He is also a graduate of the University of Maryland School of Law. His thirty-three-year professional career as a navy civilian scientist included a dozen years as head of the Navy Laboratory History and Archives Program. He also worked as an assistant to the director of Penn State University's Applied Research Laboratory. Jerry graduated from the Indiana Institute of Technology with a BS degree in electronics engineering. His career included three years in army electronics, followed by thirty years as an engineer with IBM. Both men have an avid interest in genealogy and local history, and their research has been featured in several newspaper and magazine articles. They are also active in a number of genealogy and local history groups, and both have served on the boards of the Kernersville Historic Preservation Society and the Forsyth County Historical Association. In 2009, they collaborated on their first book for The History Press, Wicked Kernersville: Rogues, Robbers, Ruffians & Rumrunners. WAHS member, Clarke Stephens, discussed the our area’s tobacco industry and display related artifacts from the early 1800’s - 1950. Clarke graduated from Walkertown High School in 1959, was employed at RJR Tobacco Company for 37 years, is an avid tobacco memorabilia collector and lives in Walkertown, NC with his wife, Della. He is a charter member of the Piedmont Tobacco Memorabilia Collectors Club. Historian and author, Randell Jones,gave a presentation based on his book, “In the Footsteps of Daniel Boone” which won the 2006 Willie Parker Peace Book Award. 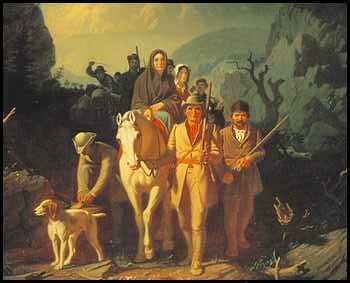 Market hunter, frontier guide, wilderness scout, master woodsman, expert marksman, Indian fighter, militia leader, surveyor, land speculator, judge, sheriff, coroner, elected legislator, merchant, tavern keeper, prisoner of war, Spanish syndic, husband, father - Daniel Boone led one of the fullest and most eventful lives in American history. More information at www.DanielBooneFootsteps.com. Author Molly Rawls will gave a presentation on the subject of her new book, “Old Salem & Salem College”, a postcard history. Ms. Rawls is a Winston-Salem native, a local history enthusiast, and a postcard collector. 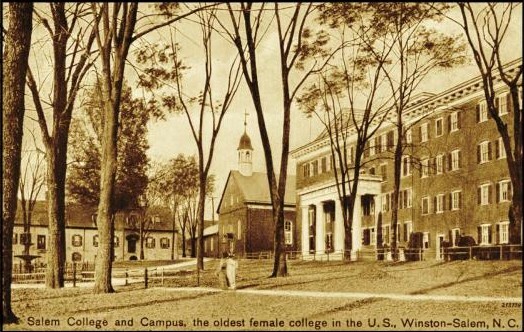 Using postcards from her personal collection and images from individual collectors and community archival collections, Rawls has compiled a visual history of Old Salem and Salem College. View and download meeting flyer here. (If you are unable to open this file, click here to download free Adobe Reader software). Silent Auction & the Annual WAHS Potluck Picnic at the WAHS Center, 3058 Church Street. We enjoyed a beautiful evening at the WAHS Center and raised $609 at the silent auction to support WAHS's work to research, organize, preserve and share our local history. 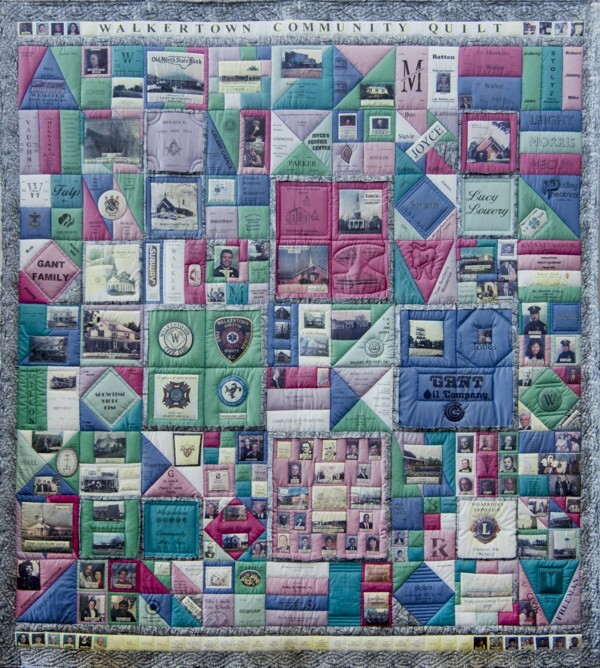 Historians, authors and founding members of the Lewisville Historical Society, Darla Johnson and Merrikay Brown presented "Lewisville, North Carolina: A Photo History Journey". 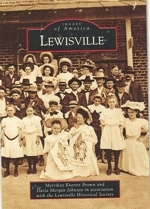 Lewisville Historical Society members collected photographs from their archives and area residents to create Images of America: Lewisville. Editor Merrikay Everett Brown came to the area in 1984, has managed the Lewisville Branch Library for 25 years, and was the first president of Lewisville Historical Society. Editor Darla Morgan Johnson has Lewisville family heritage as well as career experience as a public library manager, nature educator and metadata specialist with DigitalForsyth.org. In 1859, Lewis Case Laugenour invested his wealth, which he acquired during the California Gold Rush, into establishing a town called Lewisville in Forsyth County, NC. In the late 1700s, the surrounding area was visited by frontiersmen, Colonial soldiers, and pioneers journeying down the Great Philadelphia Wagon Road. 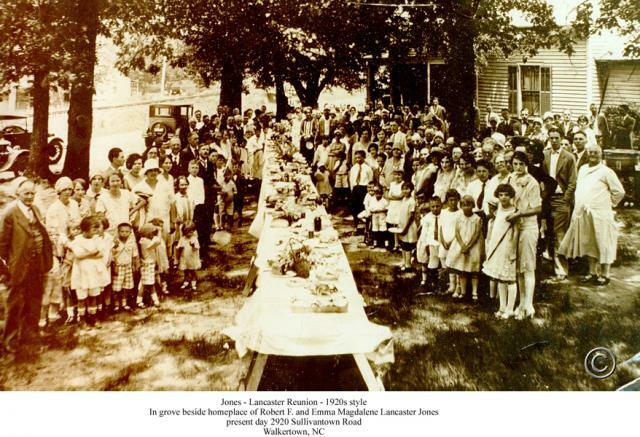 By the late 1800s, Lewisville had become a bustling stopover for travelers who utilized campgrounds, the tavern and the trading post to rest for the journey on to Winston and Salem. Tuesday, May 18, 2010 Tom Hamilton, WAHS Archives Chair, discussed projects of the WAHS Archives Committee and Nathan Walker gave a tour of the website and new members-only online Gallery Archive. Tuesday, March 16, 2010 Tom Magnuson, President of the Trading Path Association presented "Moving Into the Carolina Backcountry", a discussion of the historic trading paths in North Carolina. This program was made possible through the support of the NC Humanities Council. January 19, 2010 Authors Mike Marshall and Jerry Taylor discussed the subject of their book, Wicked Kernersville: Rogues, Robbers, Ruffians & Rumrunners. November 17, 2009 Click here to view/download meeting flyer pdf. (If you are unable to open this file, click here to download free Adobe Reader software). Writer and historian, Ed Southern, presented, “The Race to the Dan: The Retreat that Won the Revolution” will look at both the military aspects of Nathanael Greene’s race to safety across the Dan River, just ahead of Cornwallis’s pursuing British Army, and at the impact of Greene’s campaign on the civilian population of the parts of North Carolina he passed through, including what is now Forsyth, Stokes, and Rockingham Counties. Some of Mr. Southern's works are "Voices of the American Revolution in the Carolinas" and "The Jamestown Adventure: Accounts of the Virginia Colony, 1605 - 1614". Both of these books can be found at www.Amazon.com. September 15, 2009 Volunteers from StoryLine gave a presentation at our September meeting. StoryLine is a volunteer-led effort to collect and share the stories of everyday people in Forsyth County. The project was initiated to honor the rich diversity of voices throughout our community and to celebrate our history, hopes and common humanity. The stories are collected via the Story Bus, a mobile recording studio that to community events, churches, diverse neighborhoods, schools and other venues. More information at www.StoryLineProject.org. Saturday, July 25, 2009 View and download meeting flyer here. (If you are unable to open this file, click here to download free Adobe Reader software). Covered dish (potluck) picnic at the Walkertown Community Park. We had a great turnout, lots of food and wonderful weather for our gathering at the park. Short video by photographer Melinda Robinson Wall follows. May 19, 2009 Wayne Biby, a Walkertown Area Historical Society Director, presented "Sharing Walkertown's Past" which included an interesting slide presentation. "Unintended Consequences of Spending the Simmering Summer of '65 (1965) in Walkertown" presented by Larry E. Tise. Mr. Tise is Wilbur and Orville Wright Distinguished Professor of History at East Carolina and author of "A House Not Made With Hands, Love's Methodist Church, 1791 - 1966". Click here for more information on Larry E. Tise and his books. Molly Rawls spoke on "Winston-Salem - Then and Now", which is the title of her new book. Left to right: Harold Warner, Enos Jumper, Wayne Biby, Jane Morris, Joanne Neal & Wallace Baird. Sharon Lane checking out one of five displays featuring some historical sites of Walkertown.